The Giant & The Mermaid. It’s been a long flat winter and the giant is restless. After repeatedly setting his rail at massive Jaws just a few months earlier James Lowe was desperate to draw some new lines at his home break. Far above his head, the African Sentinel is throwing it’s long solemn shadow across the thinly populated lineup. That’s when the horizon bent upwards, a small dark liquid pyramid that heralded the arrival of a set. It was 20ft that day and the giant was going, no matter what. He pulled himself over the ledge slipping down the rising face, pumped a couple of times, then chose his line and pulled up into a monstrous barrel. Sitting on a boat in the channel a short distance away, Sacha Specker fired off the frame that ultimately put the giant on the cover of a surf magazine. Milla stands proudly in front of her nursery school class mates clutching her copy of the ZigZag. It’s show & tell day and she’s brought in her special magazine with the photo of her hero on the front cover. 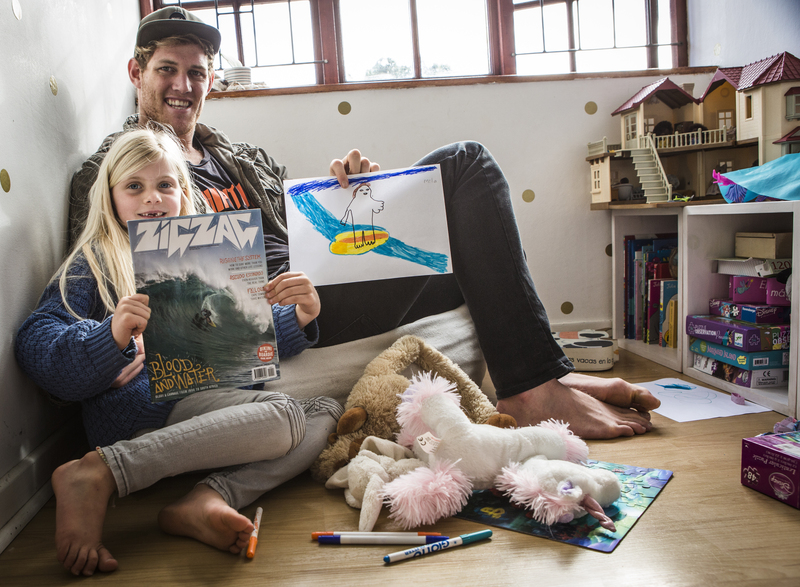 She’s also done a drawing with a surfer standing tall on a huge wave. Busting with pride the golden haired mermaid proceeds to tell her class all about her neighbor, James. “They know his comings and goings” says Milla’s mom Jo. “They love him !” she says as James enters through the garden gate. Milla and her younger sister run up the driveway and leap into his arms. He walks easily towards us, with a little mermaid hanging on each tree-trunk arm. “How long have you been surfing Milla ?” asks James. He’s seated now in a bean bag in Milla’s room, thawing out in the low winter sun that has broken through the dark clouds outside. She’s drawing intently and doesn’t look up, but shakes her head, she doesn’t know. She’s drawing James again from the cover of the same magazine. His left hand is enormous, “perfect for paddling into giant waves” he muses. His right hand is a little emaciated by comparrison, but he reasons that it might be a matter of receading perspective. His feet look like elephants feet. Dull claws seem to have replaced his toes. “Ah yes”, he says “perfect for gripping onto my board.” The little girl giggles happily. “Do you want to surf big waves Milla” he asks gently. “Yes” she answers then adds “I want to surf big waves because my mom surfs big waves.” I hear her mom laughing from behind me. “How big are the waves that James surfs ?” Jo asks, “as big as cars ?”. The little mermaid hesitates then hoots triumphantly “no ! as big as TRUCKS !!”. Peels of laughter flood the little mermaids room. “Where do you like to surf Milla ?” asks the gentle giant. “She looks up briefly from her drawing,” Mui-sss-zenberg” she says with a slight whistle through the gap in her front teeth, “but we also go boogie boarding at Longbeach” she adds. “What color is your board Milla ?” the man with the giant right hand asks. “Mmmmm-haaa pink !” she says. He laughs, “my first board was also pink” he says. (More laughter) “My dad loves bright pink” says Milla proudly. (Even more laughter) “Can you swim Milla ?” says James leaning over the drawing to closer examine his powerful digits. “I can” she says, “but only with armbands”. James looks surprised and asks “do you surf with armbands ?”. (Laughter again) “Noooooo ! !” says Milla. “Do you know where Dungeons is Milla ?” says the giant. Not looking up she says confidently “oh yes, it’s in Hawaii.” James stands and reaches down to pick her up, “here” he says “look out of your window”. 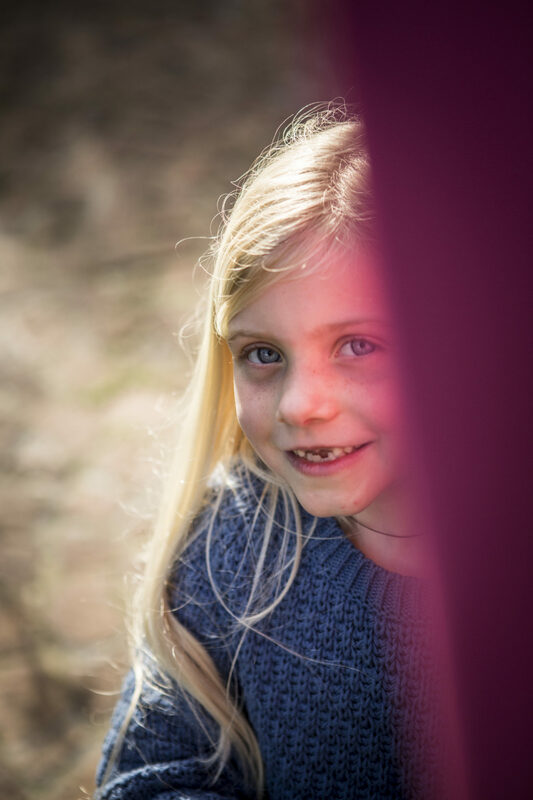 The little girl is now standing on the window sill. He points through a gap in the trees, “see that white water in the distance ? See where its breaking up against those rocks ? That’s where Dungeons is. How big is your board Milla ?” She looks around the room and points “it’s from my door to my sock draw” she says thoughtfully. The two of them are looking at the cover of the ZigZag again. “Do you want to surf a wave like that one day” asks the gentle giant. “Ja” says the little mermaid without any hesitation. 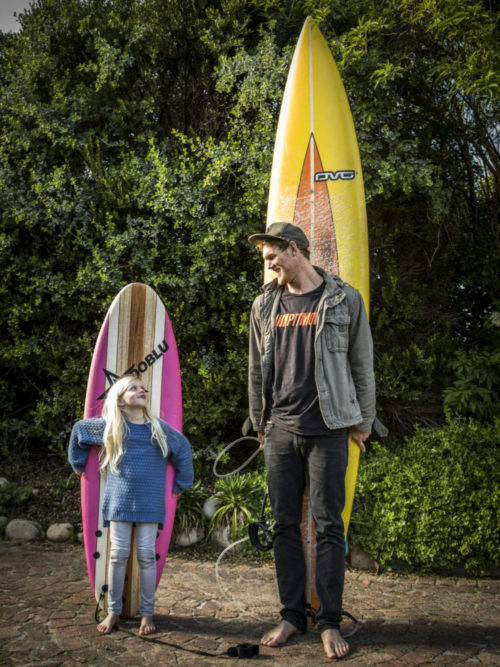 “Ok” says the giant tenderly as he takes her little hand in his, “let’s go and practice then.” With that, the two friends walk off together to check the surf.